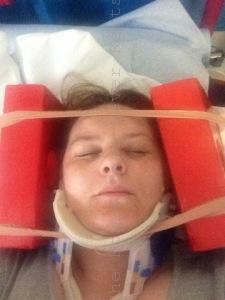 I have recently come out of hospital following my car accident, the post of my accident can be found here. I did not plan on being kept in when I arrived at hospital let alone being kept in for so long. My hospital was awful, I missed Ian and the boy’s so much. I had my car accident on the Thursday I was taken straight to hospital from there, I was sent home being told I had whiplash of the lower back and my neck following a x-ray of my hip, I was back home in a matter of 3 hours following my accident. When home I was still having the same trouble with walking, I could not grip with my left hand or move my left arm or my leg, I was having trouble with sleeping, I was having flashbacks of the accident every time I closed my eyes, Ian said come Monday morning he was going to ring my GP to see if he can get me some help with sleeping. Monday morning came and he had managed to get us an appointment for 10am so off we went to attend our appointment. My GP asked what tests had been carried out so far at the hospital, he was not happy that I was taken off the spinal board at the hospital without having scans/X-ray’s of my spine. He wrote a letter instantly and sent me straight off to hospital wanting spine tests done ASAP, I was so sore tired and weak by that point so off we went with the GP letter and headed off for these tests, the GP phoned ahead to say we was being sent in. I was like this for eight hours, I hate being restricted but I knew it was for my own good. We was just expecting to be there for that day so arranged childcare with family for when the kids came out of school, we went to the A+E department to say we had arrived waited our turn to be called in. When we did go in I was checked over and was instantly strapped back down to protect my spine. This is a big fear of mine so I got tearful again as I hate being restricted. I was taken into the EAU where I had x-ray’s of my spine, neck and shoulder, these all come back to say there was nothing broken but they was still not happy and was admitting me for further tests. I told Ian as I was being admitted he may as well go home and get some sleep as by this point it was rather late in the evening, we was both very tired, Ian didn’t want to leave me as the staff did offer him a bed for the night but we had Buddy at home who needed feeding and letting out so he had to get back for him. I was told I was not allowed to get out of bed and I was like this for 3 days of my stay in hospital, I was on morphine every 2 hours because of the pain, and I was having loads of other tests done while I was there. 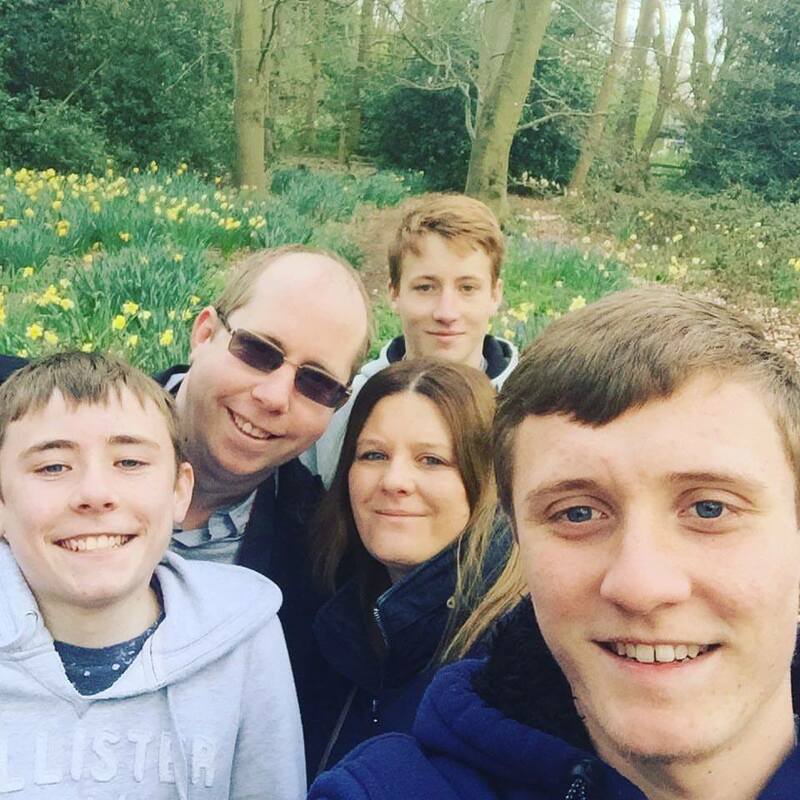 By the time I had all the tests done that was needed I had been in hospital for an unexpected 11 days in total, I found it very hard being away from Ian and my boys, coming up to the end of my stay I was getting very teary as I just wanted to be at home. 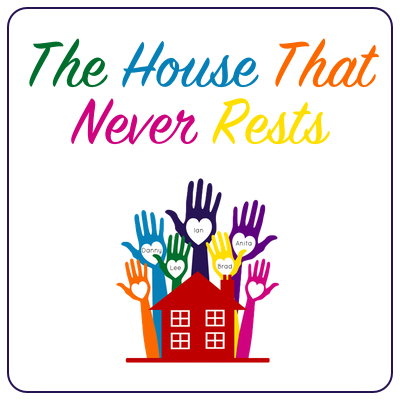 I did not see my boys while I was bed bound as I did not see it was fair for them to see me like that, they came up once I had been told I can move again, not seeing my kids was the worst part. 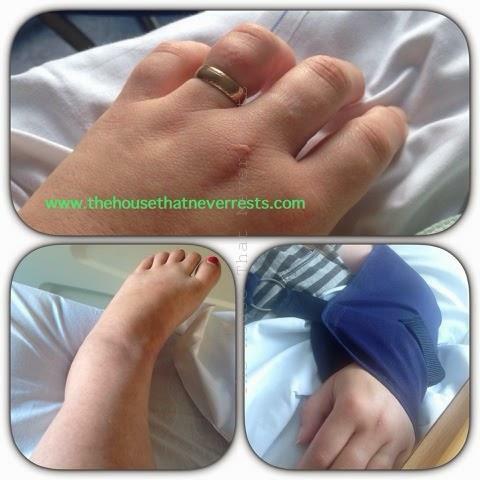 I started swelling up whilst in there, my arm, leg and foot on my left side got really swollen and I had to have my wedding ring cut off, that made me feel awful but I knew it had to come off as it was dangerous. While in hospital I saw a physiotherapist who worked with me while I was in hospital, I then saw an occupational therapist who went through my safety at home, we talked about walking, getting in and out of bed, washing/dressing, food/drink, stairs and so on. I have been told I have spine trauma and nerve damage, I have been told that it is not going to be a quick recovery, I am under the spine specialist attending their clinic being kept a close eye on and I am also still receiving physio and attending their clinic. 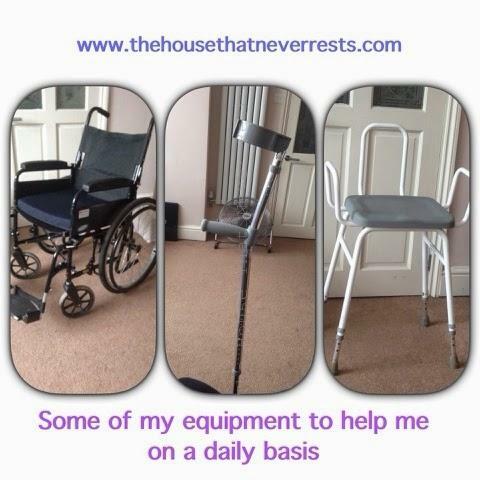 I am now back home and I now have equipment in place to help me have as much independence as possible and I also have carers come in to me throughout the day to help me. I am finding all this very hard to adjust to as before this happened I was a very independent person, I was a full-time working mum who was on her way home from work when this happened, I am extremely happy that I was on my own in the car when it happened and that no one else was injured except me, but what I am mostly happy for is that I am still here today. I am now adjusting to everything and trying to stay as positive and as independent as possible, I have good days and I have bad days, I get bored very easily so I am just finding things to keep me occupied. Oh blimey… how scary. GLad they have now identified what the problem is so they can help sort it out. This sounds so traumatic, I am so glad your gp was sensible enough to send you to A&E. Wishing you a speedy recovery. This sounds so traumatic.I am so glad that your gp had sense to send you straight to A&E.Wishing you a speedy recovery.